Title of the work: Quinteto (1994). World premiere: Mexico City, Auditorio “Simón Bolivar”, May 1995 - BSM Quintet. It was composed in December 1994. It is the first piece to appear in the composer’s catalog. This work arises from the contact with the composer Franco Donatoni, to whom Torres Maldonado was introduced that year in Mexico City, during one of the trips that the Italian composer made to Mexico. 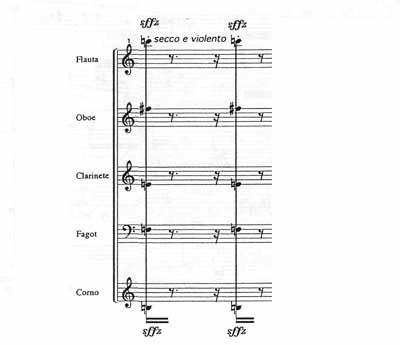 The piece consists of 7 variations, in which Torres Maldonado adopts and personalizes some of the donatonian techniques with very interesting results. 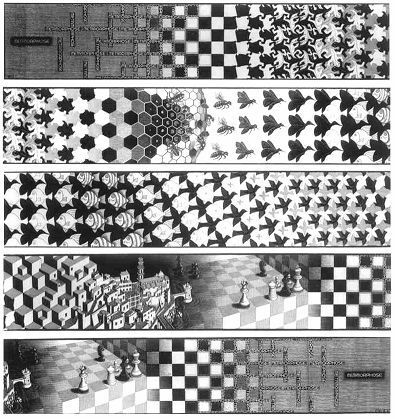 In this first composition Torres Maldonado outlines some of the characteristics to be found on later works, such as: the conception of different rhythmic dimensions of the same musical object, the work with very few elements and the interest taken in gradual transitions from one initial “state” of the sonority to another completely different. 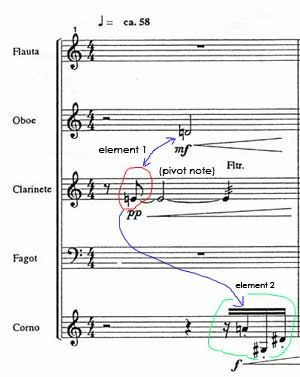 The first 4 variations take their material from the gesture presented in the first two measures (Figures 1 and 2) and from the figure that precedes the beginning of each variation, as happens in the “staccati” variation which begins on bar 17 –rehearsal mark “C”-. 5. IV Variation: (precedes the variation) Flute. In the sixth variation the chords are fragmented in trilled notes that are gradually diminished rhythmically until every instrument coincides in the “sign” chord (in which every note is trilled), preceding one of the most interesting moments of the work: the seventh variation. The composer begins with a monolithic state of the sound material. This material is then transformed so gradually that becomes difficult for the listener to realize the moment in which the changes are taking place. Nevertheless the composer doesn’t need more than 7 or 8 measures to complete this process. At the beginning of the variation each instrumental line corresponds to an intervallic typology derived from a single interval from those that constituted the basic derivation cell (minor seconds, major seventh, etc). An invariable rhythmic value is assigned to each one of the intervals, generally derived from the regularity found within an irregular rhythmic figure (triplets, etc). The transformation comes in the moment in which those values initially invariable –rhythm and pitch- are progressively diminished. 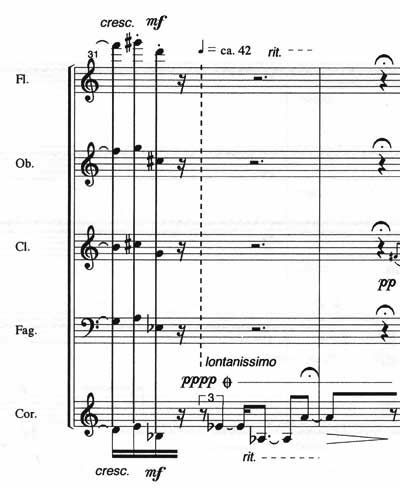 In this particular passage the composer starts with figures slightly smaller or bigger than the quarter that corresponds to the measure’s beat, and arrives to the tuplets in the clarinet, oboe and flute which are abruptly interrupted by the same note E that was fixed in its register during the first variations, and this time exposed by the horn as a final sign that comes before the last series of figures leading to the last derivation of the final chord.